The University of Virginia’s student- and community-run radio station has a new home – and it’s celebrating with a Guinness World Record attempt. 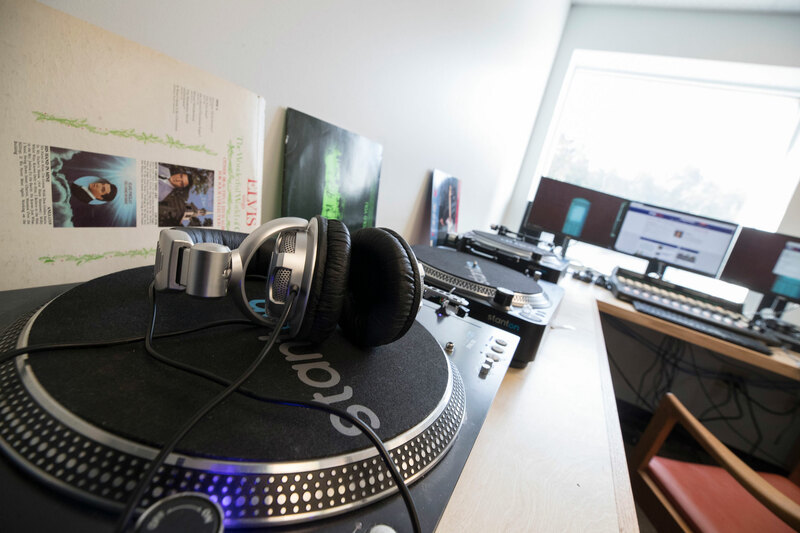 On Saturday at noon, more than 80 student and community DJs will gather at the new studio on Ivy Road to simultaneously present one radio show, which would break the current record of 60 simultaneous DJs, held by a station in England. Moore is excited to welcome students and community members to the new and improved space. The station, formerly housed in Lambeth Commons, will now occupy a 2,600-square-foot, two-story space, previously home to the independent video rental store Sneak Reviews. 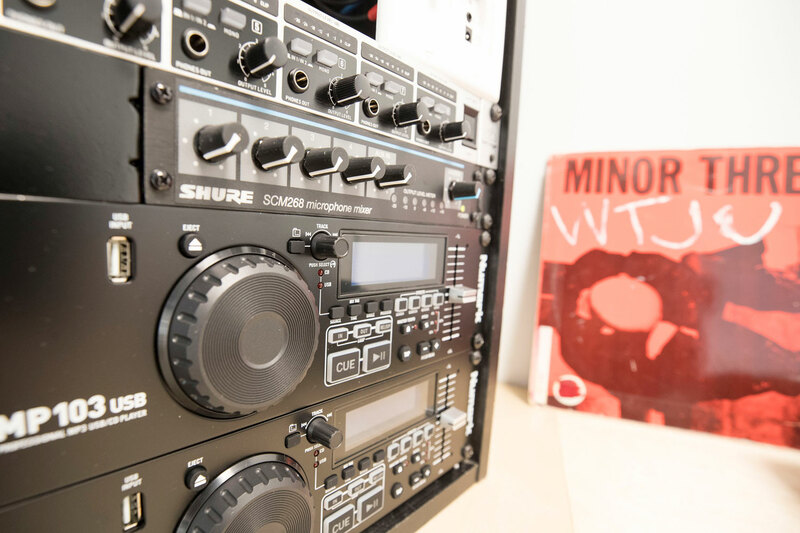 Student DJs have been broadcasting on WTJU and WXTJ for more than 60 years. A handful of students started WTJU in 1957, in a small first-floor studio in Old Cabell Hall. It was UVA’s first FM station and just the second in Charlottesville. Today, its 24/7 broadcast schedule features both community and student DJs, as well as an entirely student-run affiliate station, WXTJ. WTJU airs on 91.1 FM; WXTJ on 100.1 FM. Both stations are non-commercial, funded by a combination of private donations, grants and University support. Combined, they have about 300 volunteer student and community radio hosts and play more than 1,100 unique songs per week, far more than the 100 songs played on average commercial stations. The new space includes a live studio for student and community performances, continuing a tradition of Friday night live shows. 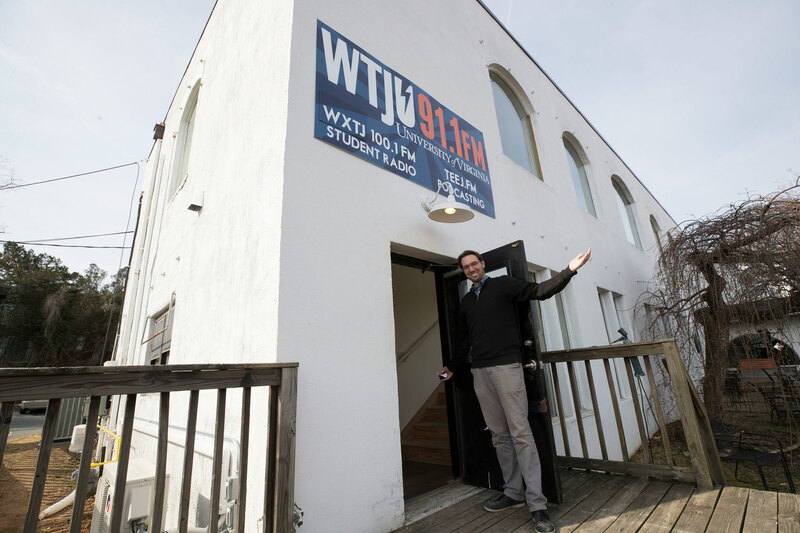 The new space has two live studios – one for WTJU and one for WXTJ – and two production studios, plus a stage for live performances. The station plans to continue its tradition of Friday night live performances and open the space to student bands, music groups, spoken word poets and other artists. “We hope to bring in a mix of student and community artists and really provide a space for people to come together and make and experience independent music,” Moore said. 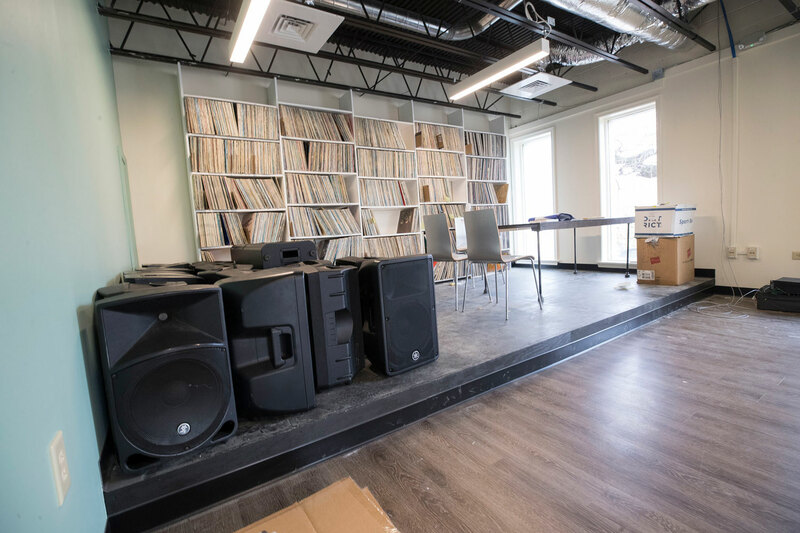 The station’s new home also provides storage for its more than 40,000 vinyl records, 35,000 CDs and a server full of MP3 files – so many that Moore says they have enough MP3s to play for four years without a repeat. 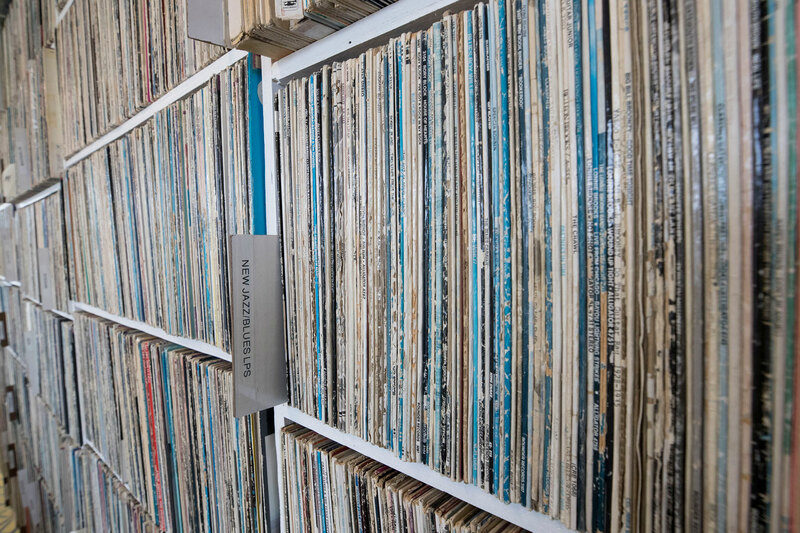 The station embraces all sorts of technology, including more than 40,000 vinyl records. Another hallmark, Moore said, is the community experience streaming services like Spotify or Pandora simply cannot offer.